The thyroid is a small, butterfly-shaped gland located at the front of your neck, sort of like an internal bowtie. 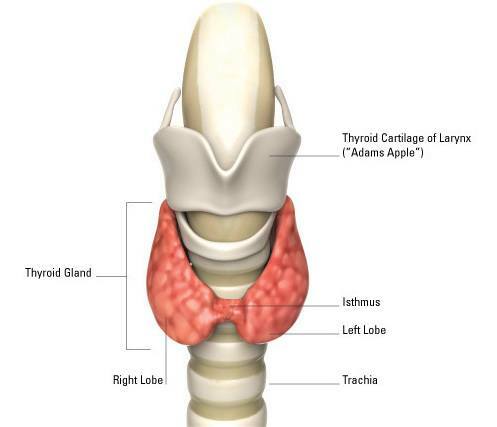 Part of the endocrine system, your thyroid produces and secretes the hormones T4 and T3. These essential hormones regulate growth, development, and metabolism. The thyroid consists of two lobes joined together by a narrow band of thyroid tissue called the isthmus. These lobes are themselves made up of many small lobules joined together with connective tissue. On a cellular level, the thyroid is made up of follicular cells, which secrete the hormones thyroxine (T4) and triiodothyronine (T3). The thyroid is controlled by the pituitary gland, which acts as sort of a hormonal thermostat. When it senses low hormone levels, it releases thyroid-stimulating hormone (TSH). As you might guess from the name, TSH stimulates the thyroid to produce T3 and T4. Thyroid hormones T4 and T3 control your body’s metabolism. Specifically, they signal your cells to convert oxygen and calories into energy. Every cell in your body depends on these hormones. 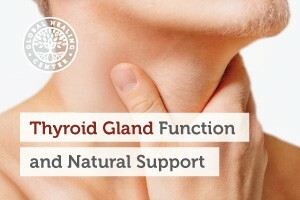 The thyroid produces them in a constant stream, but will release more when at times when your body needs extra energy. Feeling cold? Your thyroid will release extra hormones to keep you warm. Bun in the oven? The thyroid boosts hormone production to support the energy demands of pregnancy. Your thyroid uses iodine to manufacture T4. About 80% of the thyroid hormone in your body is T4. T3 is a less common, but far more potent form of the hormone. T3 is refined from T4 in the thyroid, liver, and pituitary gland. 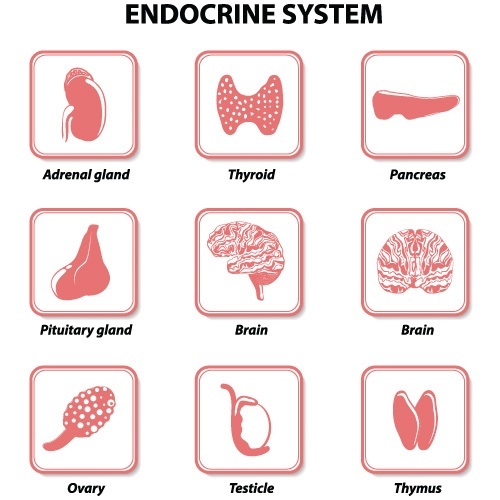 The endocrine system is a system of glands that secrete hormones directly into your bloodstream. It acts as a sort of messaging system within the body and regulated processes like growth, development, and reproduction. The endocrine system communicates with the rest of the body through the bloodstream using hormones as chemical messengers. There are many types of hormones in your blood at any given time, but each type of hormone only communicates specific information to specific types of cells. The endocrine system can be disrupted when the chemical signal somehow gets lost or corrupted. It can happen in a variety of ways, but most commonly through malnutrition or chemical interference. Endocrine disruptors are chemicals that interfere with the hormonal signals of your endocrine system causing numerous developmental, reproductive, neurological, and immune disorders. They can block, mimic, or alter the production your natural hormones. This can cause your hormone levels to spike or plummet with devastating consequences to your health. Endocrine disruptors can cause a variety of debilitating health problems including birth defects, reproductive problems, cancer, and nervous and immune system disorders. This is a particular threat to fetuses and infants whose organs and neural systems are still developing. There are many endocrine disruptors including, dioxins, PCBs, and pesticides. They’re found in dozens of common products including plastic bottles, food containers, household chemicals, pesticides, plastics, cosmetics, and pesticides. Prevention is the strongest medicine. 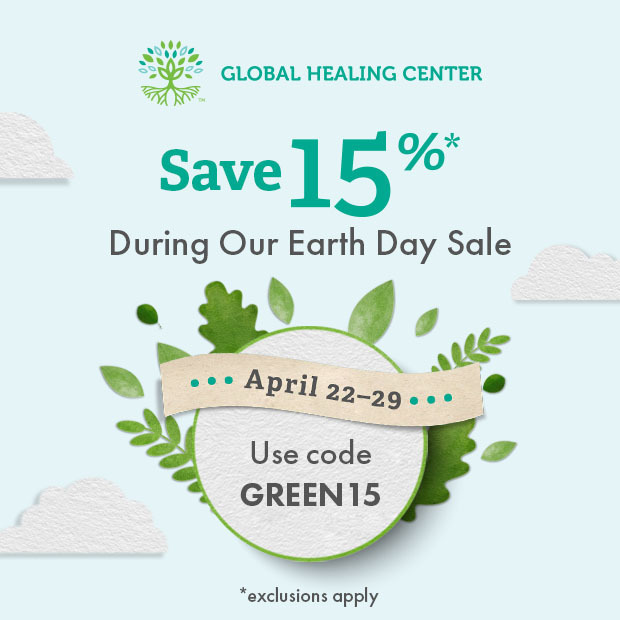 Remove known endocrine disruptors and toxins from your environment. Inadequate nutrition can also cause severe thyroid problems. Your endocrine glands can’t just make hormones out of anything. They need specific nutrients, like iodine, to use as raw materials to make hormones. Hypothyroidism is especially devastating in those still developing. In children, infants, and fetuses, the condition can lead to permanent physical and mental underdevelopment. It’s especially important for expectant mothers to ensure they get proper thyroid nutrition. Graves’ disease is an autoimmune disorder and the most common cause of hyperthyroidism. It causes the immune system to mistakenly identify the thyroid gland as a foreign body and attacks it with antibodies. This inflames the thyroid and causes overproduction of thyroid hormone. Graves’ disease can affect people of any age or gender, but is most common in females over 20. Thyroiditis is inflammation of the thyroid. It can be caused by a viral infection, trauma, immune disorders, or drug reactions. Pain may or may not be a symptom, depending on the type of thyroiditis. Hashimoto’s disease is a type of thyroiditis in which your own immune system targets and attempts to destroy your thyroid gland. Hashimoto’s works slowly. Early stages may be undetectable but it can eventually lead to inflammation, an enlarged thyroid, and hyperthyroidism. It is most common in middle-aged females and people with a family history of thyroid disorders. Subacute thyroiditis is a swollen, inflamed, and painful thyroid thought to be caused by viral infection. It occurs most frequently in middle-aged females who have recently had an upper-respiratory tract infection. A goiter, or goitre in British English, is an enlargement of the thyroid gland, often causing visible swelling in the neck. Goiters can grow to tremendous sizes. Worldwide, the most common cause of goiter is iodine deficiency. When the thyroid isn’t getting enough, it grows larger in an attempt to capture as much iodine as possible. A thyroid nodule is a small lump of growth in the thyroid gland. The majority of thyroid nodules are noncancerous and don’t invade other tissues. The most common traditional treatment of thyroid cancer is surgery, involving either the full or partial removal of the thyroid gland. This is usually combined with hormone treatments and radiation therapy. Thyroid cancer can affect anyone, but certain groups face a greater risk. Like all types of thyroid disorder, thyroid cancer affects women at a much higher rate than men. Age also plays a factor. For women, the risk peaks in their 40’s and 50’s, while men are most vulnerable in their 60’s and 70’s. Family history plays a minor role. Those who received radiation treatments to the head or neck, especially during childhood, also face a higher risk. Diagnosing a thyroid disorder can prove difficult. Different conditions that require different treatments may have similar symptoms. Conditions that have devastating symptoms in one individual may produce no symptoms in another. 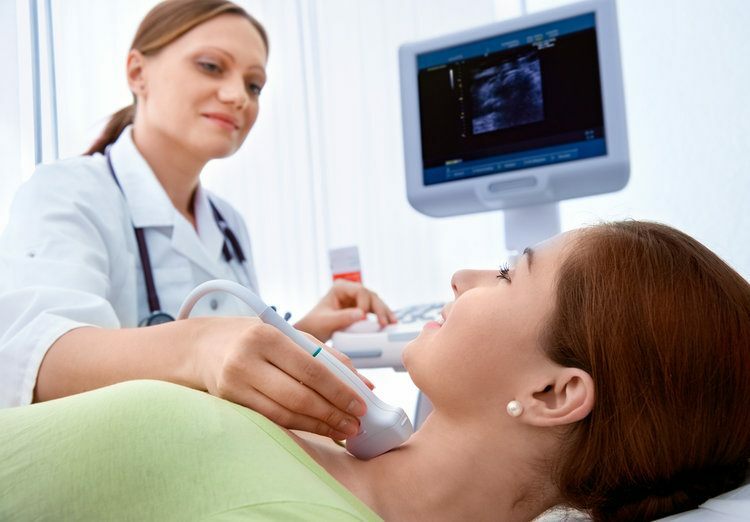 Healthcare providers can perform an array of tests that can help identify thyroid disorders. Your thyroid health is too important to leave to speculation and a “try it and see what works” approach to healthcare. If you suspect you have a thyroid disorder, please schedule a thyroid test with your healthcare provider. A test typically involves having your blood drawn and analyzed in a lab, who will measure your hormone and antibody levels. Thyroid health is complex — what is considered normal for one person may be abnormal for someone else. Certain medications can also skew results. Your healthcare provider should take your full medical history into account before making a diagnosis. The TSH test checks blood levels of thyroid-stimulating hormone. It is the most reliable test for hypothyroidism/hyperthyroidism and is typically the first test your healthcare provider will perform. High levels of TSH means that the pituitary gland is working overtime, trying to get the thyroid to produce more thyroid hormone. Alternately, low THC means that the pituitary senses abnormally high levels of thyroid hormone and has restricted TSH production. Low TSH usually indicates hyperthyroidism, and high TSH indicates hypothyroidism. A T4 test checks the amount of thyroid hormone in your blood. If you have an overactive thyroid, the test will show too much T4 while an underactive thyroid will show too little. An overactive thyroid could indicate Graves’ disease, thyroiditis, thyroid nodules, or overuse of hormone medicine. Some conditions and medications may skew results. Both pregnancy and birth control pills will cause T4 levels to spike, but do not necessarily indicate hyperthyroidism. Asthma, arthritis, and skin medications may cause lower T4 levels without indicating hypothyroidism. As a T4 test has already measured thyroid hormone levels, a T3 test may seem redundant. However, it’s important to check both. Certain cases of hyperthyroidism may show normal T4 levels but high T3. The T3 test is not a useful indicator of hypothyroidism as T3 levels generally remain fairly stable until the condition is severe. TSI stands for thyroid-stimulating immunoglobulin, an antibody present in cases of Graves’ disease. TSI mimics TSH and causes the thyroid to secrete excess hormone. The TSI test is usually ordered when Graves’ disease is suspected, especially during pregnancy. As the name suggests, antithyroid antibodies are antibodies that target the thyroid. A normal result should be negative. A positive test for antithyroid antibodies could indicate Hashimoto’s disease. Can You Live Without Your Thyroid? Thyroidectomy is the partial or total removal of the thyroid gland and is used to treat the most severe thyroid disorders. The most common causes for this are goiter, nodules, severe hyperthyroidism, and thyroid cancer. Survival rates after thyroidectomy are very good. So yes, you can live without a thyroid, but there will likely be complications. After a total thyroidectomy, you will likely need to take hormone replacements daily for the rest of your life. Your thyroid may still be able to function normally if only part of the gland is removed. However, you will be at a much higher risk of hypothyroidism. After any kind of thyroid surgery, it is critically important to make sure your body has the nutrients it needs to maintain a healthy hormone balance. A malnourished thyroid is a malfunctioning thyroid. You can’t expect your thyroid to operate properly if it’s starved of the nutrients it needs to do its job. A carefully planned diet containing the best thyroid-supporting foods is crucial for maintaining thyroid health. If the food you eat lacks the proper nutrients, consider supplementation to fortify your diet with essential nutrients like iodine and selenium. Vegetarians and vegans must be careful when planning their diets as many of the most concentrated doses of thyroid-supporting nutrients are found in animal sources. Don’t let this discourage you if you are considering going vegan. A well-planned vegan diet is one of the healthiest lifestyle choices you can make for your longevity and quality of life. A vegan or vegetarian diet can still support a healthy thyroid, it just requires a small amount of extra thought and research in your dietary choices. Most vegans are already used to this. Of all the essential micronutrients, iodine is the most essential to thyroid health. T4 and T3 are made from iodine — without sufficient iodine, the thyroid cannot produce an adequate supply of these hormones. Iodine deficiency is devastating to human development, growth, and metabolism. This mineral is prevalent in seawater, and the best sources of iodine are seafood and seaweed. Many people can’t or won’t eat marine-sourced food for reasons of access, taste, or allergy. If you’re one of these people, it’s important to fortify your diet with other iodine sources. Iodine is so important to human health that it’s added to table salt in many countries. For most people, food sources should provide all the iodine they need. Those who have a condition that affects nutrient absorption, don’t consume table salt, or live areas with low iodine content in the soil should consider supplementation. Selenium is another crucial micronutrient to thyroid health. The highest concentrations of selenium are found mostly in seafood, meats, and dairy products. However, there are still some great selenium-rich options for vegans and vegetarians. Brazil nuts actually have one of the highest concentrations of selenium per serving, higher even than animal sources. Lower, but still significant amounts can be found in brown rice, beans, and spinach. Iron and zinc each perform several functions in the body, but they’re also both important trace elements for thyroid health. Iron helps your thyroid process iodine, and zinc is an important component of the receptors that identify the hormonal signals. Turmeric is an excellent supplement for supporting thyroid health. This may be because turmeric contains curcumin, the compound that gives the herb its yellow color. Studies indicate curcumin may help inhibit the growth of thyroid cancer cells. [15, 28] Turmeric is also associated with a lower risk of goiter formation. Getting enough B12 is important for everyone, but it should especially be a concern for those suffering from hypothyroidism. Hypothyroidism and B12 deficiency seem to be linked. More research needs to be done before we fully understand the nature of this link. Although the term “alternative medicine” is used most often, true alternative medicine is fairly rare — most people use a more integrated approach. As always, consult your qualified healthcare practitioner before making any changes to your diet, medication, or lifestyle. A core belief of most CAM systems is that a healthy mind is an important part of a healthy body. Excessive, chronic stress can affect all areas of your health, and your thyroid is no exception. Repeated, severe stress can alter hormone levels and decrease the production of T4 and T3. Stress can directly harm your immune system, and may even be linked to a higher risk for Graves’ disease and Hashimoto’s thyroiditis. Stress is a natural part of life, but too much stress will cripple your thyroid health. I realize that if you have a thyroid problem (or any kind of health issue) it can be difficult to keep stress at bay. Try to keep a positive mindset, even in times of stress. 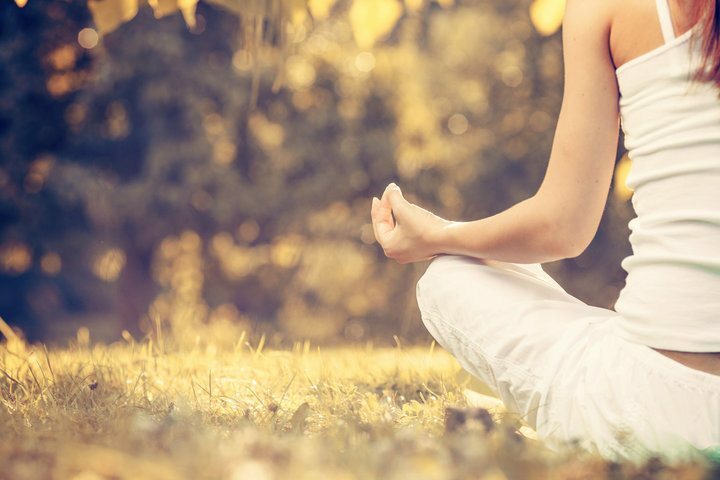 Meditate or practice yoga regularly to clear your mind of stressors and relax your body. 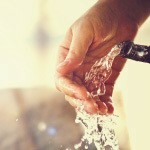 Eliminate stress from your environment whenever possible. Don’t fixate on things that are out of your control — it’s just not worth it. There are also things you can do that are just common sense for maintaining any kind of good health. Exercise regularly — whatever your body can manage. Whether it’s training for a marathon or just a stroll around the park, find out what your body is capable of and stay active. Sleep. Don’t just get some sleep, get enough sleep. The right amount of sleep is different for each person, but the standard wisdom of 8 hours each night is a good starting point. Listen to your body and adjust that figure as necessary. 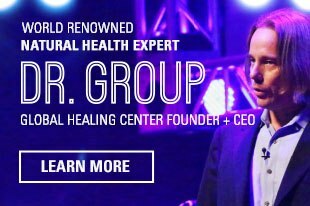 At Global Healing Center we believe in a whole-body approach to thyroid health. The human body is a complex machine. Seemingly unrelated systems can be linked in ways we do not yet fully understand, and a minor problem in one system can lead to major problems in other systems down the line. For example, if you have a digestive disorder that harms your ability to properly absorb nutrients. That may mean that your thyroid is malnourished and underperforming, even if you are consuming all the right nutrients. Ultimately, wellness is your whole body in balance. It’s the body’s natural ability to care for and heal itself. True wellness is all your body’s many complex systems, organs, glands, tissues, and cells, each performing their function properly and working in harmony. When you provide your body with good nutrition, it’s more able to function normally, and you’re more able experience true wellness. I want to make this clear. I’m not saying that you can yoga away your thyroid cancer. I’m not saying that sleeping 8 hours a day will make you immune to Graves’ disease. I’m saying that a carefully-planned, natural, healthy lifestyle will give you your best chance to experience overall wellness. A healthy thyroid is linked to a healthy body and every little bit helps. What are your experiences with managing your thyroid health? Let us know in the comments. "How Does the Thyroid Work?" PubMed Health. U.S. National Library of Medicine, 7 Jan. 2015. Web. 30 Aug. 2016. Sapin, R, and JL Schlienger. “[Thyroxine (T4) and Tri-Iodothyronine (T3) Determinations: Techniques and Value in the Assessment of Thyroid Function].” Annales de Biologie Clinique., vol. 61, no. 4, 14 Aug. 2003, pp. 411–20. Accessed 2 Sept. 2016. “How Does the Thyroid Work?” PubMed Health, National Library of Medicine, 7 Jan. 2015. Accessed 2 Sept. 2016. “Thyroid Gland.” Johns Hopkins Medicine Health Library, The Johns Hopkins University. Accessed 2 Sept. 2016. “What Is Endocrine Disruption?” EPA, U.S. Environmental Protection Agency, 18 Aug. 2016. Accessed 2 Sept. 2016. “Endocrine Disruptors.” National Institute of Environmental Health Sciences, USA.gov, 15 July 2016. Accessed 2 Sept. 2016. “Hypothyroidism.” MedlinePlus, U.S. National Library of Medicine, 23 Apr. 2015. Accessed 2 Sept. 2016. “Hyperthyroidism.” MedlinePlus, U.S. National Library of Medicine, 23 Apr. 2015. Accessed 2 Sept. 2016. “Graves Disease.” MedlinePlus, U.S. National Library of Medicine, 3 Feb. 2016. Accessed 2 Sept. 2016. “Thyroiditis.” University of Maryland Medical Center, University of Maryland Medical Center, 22 Mar. 2014. Accessed 2 Sept. 2016. "Chronic Thyroiditis (Hashimoto Disease)." MedlinePlus. U.S. National Library of Medicine, 03 Feb. 2016. Web. 02 Sept. 2016. “Goiter - simple.” MedlinePlus, U.S. National Library of Medicine, 23 Apr. 2015 Accessed 2 Sept. 2016. “Thyroid nodule.” MedlinePlus, U.S. National Library of Medicine, 19 Apr. 2016. Accessed 2 Sept. 2016. “Thyroid Cancer.” National Cancer Institute, U.S. Department of Health and Human Services, 2011. Accessed 2 Sept. 2016. Zhang, CY, et al. “Curcumin Inhibits Invasion and Metastasis in K1 Papillary Thyroid Cancer Cells.” Food Chemistry., vol. 139, 9 Apr. 2013, pp. 1021–8. Accessed 2 Sept. 2016. “Thyroid Cancer Survival Rates, by Type and Stage.” Cancer.Org, American Cancer Society, 2016. Accessed 2 Sept. 2016. National Cancer Institute. What You Need to Know About Thyroid Cancer. U.S. Department of Health and Human Services, 2012. Accessed 2 Sept. 2016. National Cancer Institute. Thyroid Cancer Risk Factors. U.S. Department of Health and Human Services, 2016. Accessed 2 Sept. 2016. “Thyroid Tests.” The National Institute of Diabetes and Digestive and Kidney Diseases, USA.gov, 19 Feb. 2016. Accessed 2 Sept. 2016. “TSH Test.” MedlinePlus, U.S. National Library of Medicine, 3 Feb. 2016. Accessed 2 Sept. 2016. “T4 Test.” MedlinePlus, U.S. National Library of Medicine, 10 May 2014. Accessed 2 Sept. 2016. “T3 Test.” MedlinePlus, U.S. National Library of Medicine, 10 May 2014. Accessed 2 Sept. 2016. “TSI Test.” MedlinePlus, U.S. National Library of Medicine, 10 May 2014. Accessed 2 Sept. 2016. “Antithyroid microsomal antibody.” MedlinePlus, U.S. National Library of Medicine, 10 May 2014. Accessed 2 Sept. 2016. “Thyroid gland removal.” MedlinePlus, U.S. National Library of Medicine, 9 Apr. 2014. Accessed 2 Sept. 2016. Kapil, Umesh. “Health Consequences of Iodine Deficiency.” Sultan Qaboos University Medical Journal 7.3 (2007): 267–272. Print. “Office of Dietary Supplements - Dietary Supplement Fact Sheet: Selenium.” National Institutes of Health, USA.gov, 11 Feb. 2016. Accessed 2 Sept. 2016. Hutchins-Wolfbrandt, A, and AM Mistry. “Dietary Turmeric Potentially Reduces the Risk of Cancer.” Asian Pacific Journal of Cancer Prevention : APJCP., vol. 12, no. 12, 1 Jan. 2011, pp. 3169–73. Accessed 2 Sept. 2016. Jawa, A, et al. “Turmeric Use Is Associated with Reduced Goitrogenesis: Thyroid Disorder Prevalence in Pakistan (THYPAK) Study.” Indian Journal of Endocrinology and Metabolism., vol. 19, no. 3, 2 May 2015, pp. 347–50. Accessed 24 Aug. 2016. Jabbar, A, et al. “Vitamin B12 Deficiency Common in Primary Hypothyroidism.” JPMA. The Journal of the Pakistan Medical Association., vol. 58, no. 5, 29 July 2008, pp. 258–61. Accessed 18 Aug. 2016. “Complementary, Alternative, or Integrative Health: What’s in a Name?” National Center for Complementary and Integrative Health (NCCIH), U.S. Department of Health & Human Services, 28 June 2016. Accessed 2 Sept. 2016. Helmreich, DL, et al. “Relation Between the Hypothalamic-Pituitary-Thyroid (HPT) Axis and the Hypothalamic-Pituitary-Adrenal (HPA) Axis During Repeated Stress.” Neuroendocrinology., vol. 81, no. 3, 16 July 2005, pp. 183–92. Accessed 2 Sept. 2016. Mizokami, T, et al. “Stress and Thyroid Autoimmunity.” Thyroid : Official Journal of the American Thyroid Association., vol. 14, no. 12, 15 Jan. 2005, pp. 1047–55. Accessed 2 Sept. 2016.